A national coalition of more than 50 youth development organizations is calling on judges, state and local policymakers around the country to end the practice of youth incarceration. Instead, the National Collaboration for Youth says jails should only be used for a small number of violent kids and that other youth offenders should be placed in community-based programs. The report, titled “Beyond Bars: Keeping Young People Safe at Home and Out of Youth Prisons,” backs up what Deborah Hodges says has become crystal clear in research over the past several years. “Research shows that locking up kids makes kids worse. And once they are returned to the community they can actually pose a greater threat,” she says. Hodges is the juvenile court administrator in Lucas County, Ohio, which has become a national model for the growing juvenile justice reform movement. Instead of locking up nonviolent kids for their crimes, Lucas County is taking a targeted approach to dealing with them: offering counseling, drug treatment and other community and even school-based services. In a conference call with reporters, Hodges and others said it’s a strategy that saves money and prevents recidivism. Here in Maine, advocates for at-risk kids and kids themselves are also on board with the approach. “I have one top concern, I guess, and it’s that I believe that locked facilities for children are harming children,” says Page Nichols, a learning specialist at the Portland-based REAL School, which works with middle and high school students with behavioral and mental health issues. The school has replaced the traditional, one-size-fits-all approach to discipline, such as suspension and detention, with a restorative justice model. But because of their behavior, some of the students have spent time at the Long Creek Youth Development Center in South Portland. If Nichols had her wish, tens of thousands of dollars spent incarcerating each kid could be redirected to alternative programs closer to where they live. “That’s a lot of money that could be cut in half and go into really quality services, residential living programs, great mental health services where kids can stay connected to their community while rehabilitating, because the juvenile justice system was meant to be rehabilitative and it’s not,” she says. “I spent 13 months in Long Creek. Worst 13 months of my life. Tried to commit suicide three times,” says Austin Simmons, 18, of Poland. Simmons says the main reason he wound up at Long Creek was because he didn’t have a stable family life. 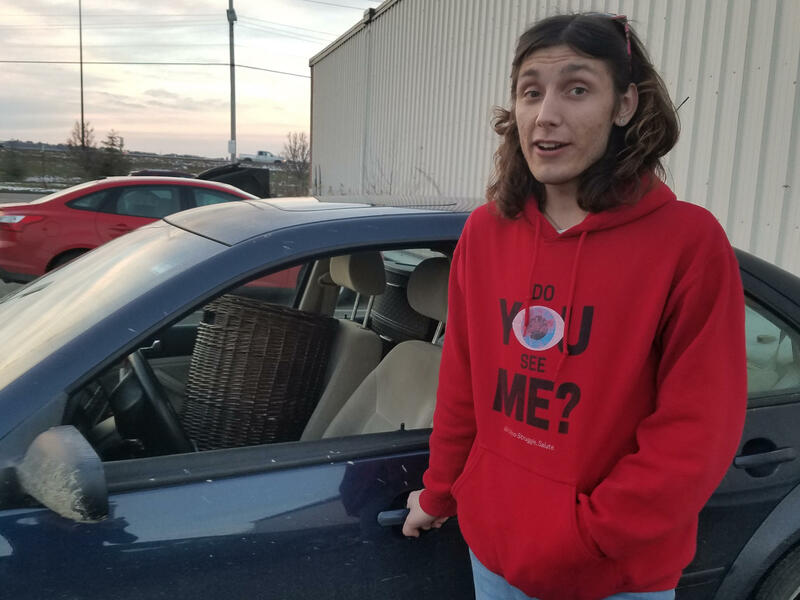 He was kicked out of the house for the first time at age 14, living mostly out of a car for several months, until he got caught driving without a license. Sent home again, Simmons says he repeatedly clashed with both of his parents and especially with his mother’s boyfriend, who didn’t like the fact that he was openly gay. This culminated with a fight in the kitchen in which Simmons says he grabbed a knife to defend himself. No one was hurt, but Simmons was charged with criminal threatening with a dangerous weapon and terrorizing. Simmons says the state should have options available for kids like him who need some support and accountability but don’t belong in jail. Mohamad Mohamad of Lewiston says he spent 2 1/2 years in Long Creek for repeatedly getting in trouble. He says he understands that incarceration serves a purpose for some kids, but in general, he says, it hurts them and their families. “First is like, why would you take a kid that’s been with his family member since he was born and now you can only see them once a week, twice a week. Some of them, they live far away. So how do you expect a teenager to grow up?” he says. The report finds that exposing kids to social isolation is harmful, that a strong sense of belonging and positive relationships are among the reasons they succeed. And Joseph Jackson of the Maine Prisoner Advocacy Coalition says that’s why confining kids to a cell is illogical. It’s not conducive to rehabilitation or, he says, to their social growth. “I think we have to be concerned about that. You’re interrupting these young peoples’ lives at a crucial time when it’s most important for them to develop socially as well,” he says. According to the National Collaboration for Youth, the lack of full services in the community is often used as a justification to incarcerate young people who have complex and diverse needs and who repeatedly get into trouble. An email to the Maine Department of Corrections seeking comment for this story was not returned.